How to test the VFD after completing a successful repair? Home » FAQ » How to test the VFD after completing a successful repair? Ideal condition would be to have 2 motors coupled together. AC or DC load motor does not matter. DC motor is easier to control the load, AC motor not much different just be aware of the DC bus voltage will increase until the variable frequency drive faults on overvoltage or a catastrophic component failure (usually IGBT). If 2 motors are not available one needs to use what is at hand. A locked motor rotor will work provided it is only for a quick test in the V/Hz mode. Do not try in Sensorless Vector or Closed Loop. In this method one probably will not attain the full load current. Removing the rotor from the motor is too much work. In this method only the magnetizing current to flow through the stator windings. This can also be accomplished by running the motor with no load. If the VFD IGBT is going to fail the usual mode of failure is on voltage not on current. Motor testing if the motor is 600 volts or less 1000 to 2000 volt meggar is sufficient. Higher voltage meggar is fine, but no less than a 1000 volt and be sure the motor is disconnected from the variable frequency drive. 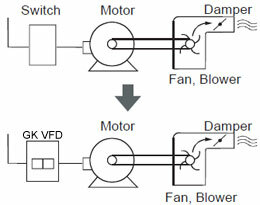 VFD drives can create a problem with bearing failure in motors. There can be some induced current that flow to earth/ground through the bearings. 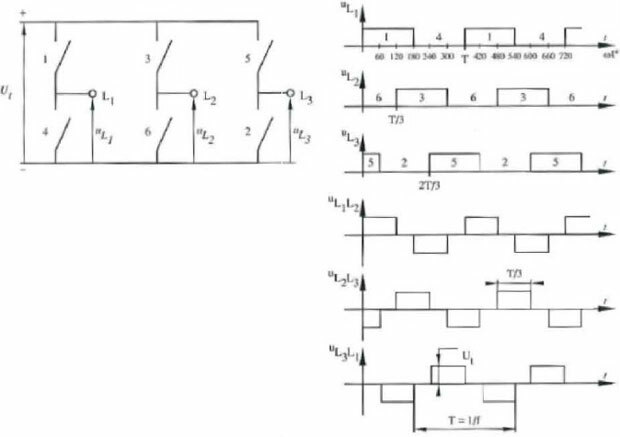 The amount of induced current is dependent on the modulation/carrier/switching frequency of the IGBT. To help this type of failure the motor manufacturer will use a brush riding on the shaft of the rotor to discharge this energy to earth/ground. The brush typically mounted inside the motor. 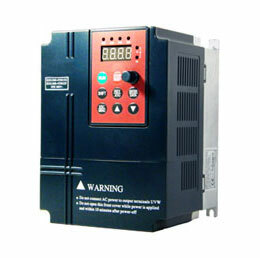 And be sure there is a SOLID ground between the motor, VFD and the power ground. The metal conduit or the screen/shield on the motor cable does NOT count.